Pickard Timber formerly Wingfield Timber has operated as a privately owned timber supplier in South Australia for over 35 years. Originally located in Wingfield, the company relocated to Pooraka and then 30 years ago to Gepps Cross and now we are currently located at 17 White Road Gepps Cross. Pickard Timber is one of the largest timber merchants in Adelaide, specializing in housing and light commercial buildings. Supplying approximately 2,500 cubic metres of timber per month to the housing market alone. Pickard Timber supply stick timber, floor trusses and roof trusses, structural beams to the building industry. With a supply and erect division which will take the job from Council Approval to erection of 1st fix timber in a timely and professional manner. An increasing number of South Australian builders are discovering how to save time, plus money, by using the Pickard Timber supply and install department for their building projects. Pickard Timber can successfully design, manufacture, supply and install, and by doing so there are many benefits to the builder. Pickard Timber also have a dedicated estimating department which consists of people that have extensive expertise in building and construction. They are able to design any project, from a single-story dwelling to multi-story housing and unit developments. Pickard Timber design the wall frame, floor frame, roof frame and provide truss calculations ready for council approval, plus laminate the layouts ready to go to site for construction. The estimating department additionally has experienced staff capable of doing conventional stick timber take-off's. Pickard Timber also has the ability to supply custom made timber windows and doors. Our extensive product range of window and door systems will allow you to select from a broad range of products to suit any application. Pickard Timber believe the success of the business is largely attributed to their staff. All Pickard Timber people have been employed with the same core values; all having a great attitude towards the customers and the company. This applies to our production crew, administration staff, sales team, through to the managers. Pickard Timber has a strong commitment to provide support for staff at all levels; this in turn has created a great working culture and high level of staff loyalty. There are many staff members whom have completed 10 and 15 years or more of service; this in its self is a testimony of a great working environment and opportunities within the company. An increasing number of South Australian builders are discovering how to save time, plus money, by using our supply and install department for their building projects. Pickard Timber can successfully design, manufacture, supply and install, and by doing so there are many benefits to the builder. Pickard Timber’s estimating department consists of people that have extensive expertise in building and construction. We are able to design any project, from a single story dwelling to multi-story housing and unit developments. Pickard Timber design the wall frame, floor frame, roof frame and provide truss calculations ready for council approval, plus laminate the layouts ready to go to site for construction. The estimating department additionally has experienced staff capable of doing conventional stick timber take-off's. If you are building, wanting to reduce the hassles, plus increase your profits, talk to us about our Supply and Install option! Laminated Veneer Lumber (LVL) is a high strength engineered wood product made from veneers bonded together under heat and pressure. It is used for permanent structural applications including beams and rafters. Untreated, HS2 and H3 SmartGuard Treated upon request, Formaldehyde Emissions - E0 Depths from 90mm to 600mm . 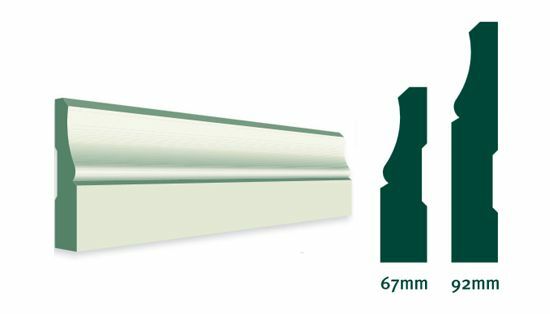 Widths 35, 42, 58 (75 - Limited depths) Lengths up to 12m in 300mm increments. Main uses: Substitute for solid section timber (F17) long length members, engineered timber beams and floor bearers. GL 13, GL 17, GL 18. Depths and widths dependant on paricular material. Refer to individual design guides. Lengths up to 12m in 300mm increments. Main uses: Substitute for stell beam and other long span or heavy loads. I-Joist with LVL flanges and OSB web. Depths from 200mm to 400mm. Lengths up to 12m in 300mm increments. Main uses: Floor joists, rafters, untreated or HS2 treatment. LOSP H2 available upon request. This completely new laminated timber product range is Hyne Timber's solid wood alternative to LVL with excellent nailing and comparable structural properties for ease of conversion. 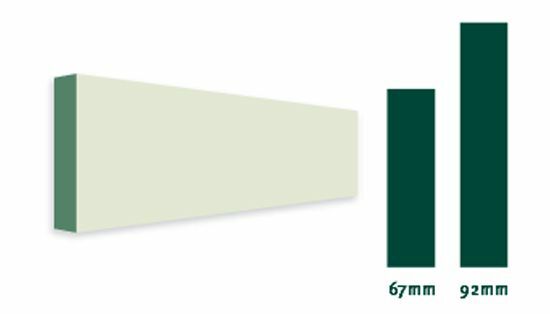 Still the strongest softwood laminated beam available, 17C provies the most cost-effective option for laminated solid timber in high load and high strength structural applications. 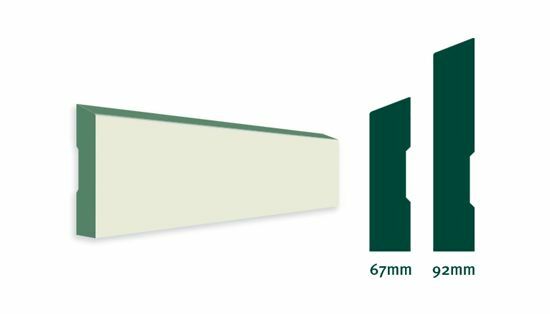 The traditional light-coloured laminated hardwood beam from Tasbeam, that is well established and with consistent performance, provides the obvious hardwood alternative to Hynebeam 17C for structural applications. Providing unequalled opportunity for aesthetic expression and design flexibility, these superior hardwood laminated beams provide maximum structural capacity coupled with a superb appearance. Solid 70 x 45 structural softwood flanges combined with high performance oriented strand board (OSB) webs create this superior termite resistant, lightweight yet strong I-Beam with high performance structural capabilities. CUSTOMwood is one of the most versatile and easy to use Medium Density Fibreboards available in Australia today. CUSTOMwood sheets are ideal for a number of interior applications in the cabinet making, shop fitting, furniture & building industries. Follow the link below for more info on their product range. Ezitrim is manufactured from sustainable plantation grown Cypress Fir (cunninghamia lancelotta). Which has been milled, kiln dried and docked to remove all knots and visible Imperfections. This is then used to produce a fingerjointed/laminated moulding, or door jamb which has no defects, whilst also having a superior finish. Follow the link for more info on their product range. Fiber cement cladding is a building material used to cover the exterior of a building in both commercial and domestic applications. Fiber cement is a composite material made of sand, cement and cellulose fibers. Fiber cement sheet is used not only as cladding but is also commonly used as an eave lining and as a tile underlay on decks and in bathrooms, it can also be utilized as a substitute for timber fascias and bargeboards in high fire areas. A wide cladding board, with a 15mm horizontal joint that has the classic appeal of decorative render. 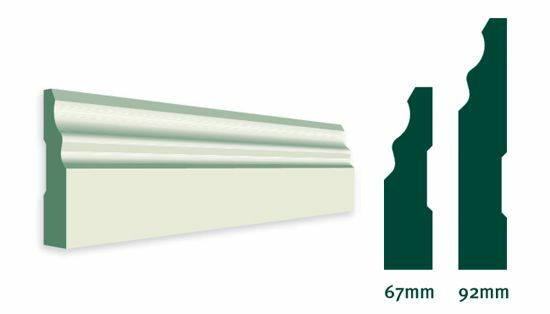 Pre-primed and easy to install, it is the fast way to achieve a timeless look. For residential applications. An external structural flooring substrate for tile finishes over timber or lightweight steel floor joists. Simple and fast to install, it helps give you peace of mind against moisture damage to balconies. For tiled residential balconies. A heavy-duty but lightweight structural flooring substrate that does double duty. It can be easily used for tile, vinyl and carpet finishes over timber or steel floor joists in both residential general interiors and wet areas as an alternative to particleboard, plywood or compressed fibre cement. Simple and fast to install, it's the easiest way to get top protection against moisture damage in all interior floors. A vertically grooved cladding panel that looks sharp and smooth. Pre-primed and easy to install, it creates a pristine look that lasts. For residential applications. A 16mm thick horizontal weatherboard, with deep shadow lines, that has the look of a traditional weatherboard without weathering like one. For residential applications. An exterior cladding system with a geometric, expressed-joint look. Fast and simple to install, it creates the commercial look without the price tag. For residential and medium density applications. 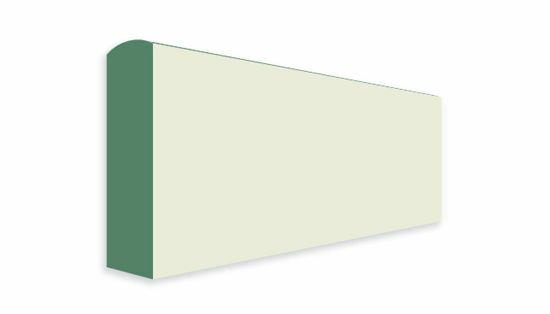 LOSP primed pine is a pre-primed timber product. 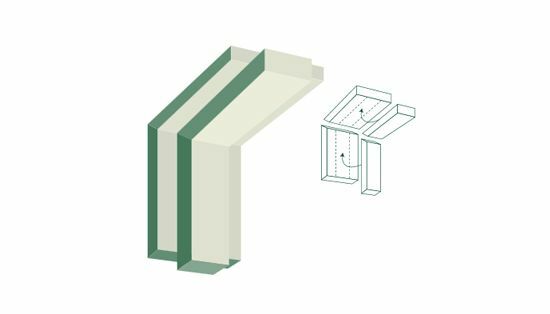 It is finger jointed and or laminated for increased dimensional stability and can be used for all above ground applications such as pergolas, carports, verandahs, handrails or privacy screens. LOSP pine is H3 treated and provides long lasting protection against decay and insect attack in above ground applications. We source Design Pine (I.T.I), Arauco, and Taranaki LOSP products. Follow the links below for more information on their range of products. MGP10 rated untreated Pine is the ideal building material as it's widely available in a great range of sizes and lengths. Available in Australian Radiata Pine, and European Baltic Pine. We source Carterholt, Storaenso, Egger, IlLLUM, AKD, Hyne and Wespine.